Dr. Cafer T. Yavuz received his B.S. degree from the Middle East Technical University, Ankara, Turkey. He completed the 4 year program in only 3 years being the first in the honor program's and second in the Chemistry department's 40 year old history. When he was in high school, he attended the 29th and 30th International Chemistry Olympiads representing Turkey twice and got a silver and a bronze medal in Canada and Australia, respectively. He was admitted to Rice University in 2001 with Welch scholarship and received his Master's and Ph.D. under the supervision of Dr. Vicki L. Colvin. His research focused on production of magnetic nanocrystals and their use in arsenic removal. His paper in Science magazine received Forbes magazine's "Top 5 nanotech breakthroughs of 2006" honor as well as 80+ different news coverage in media outlets such as New York Times, BBC, Houston Chronicle and The Guardian. His work was selected among the "Six Ideas That Will Change The World" by the Esquire Magazine (December 2007). He worked as a postdoctoral scholar at the University of California, Santa Barbara with Dr. Galen Stucky on CO2 sequestration, conversion and co-activation with methane (CH4) until his appointment as an Assistant Professor at the Graduate School of Energy, Environment, Water and Sustainability (EEWS), KAIST, South Korea on June 1st of 2010. 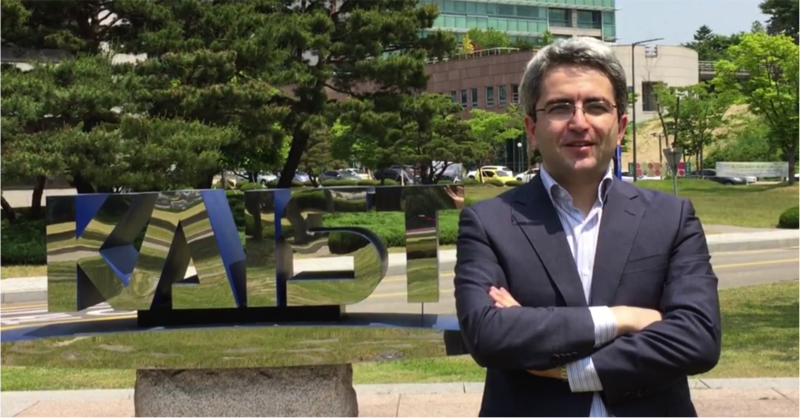 He is the first Turkish faculty (tenure track) appointed in a Korean university. He was promoted to Associate Professor on September 2013 and jointly appointed at the Department of Chemistry. He is an Editorial Board Member at Chem, a new chemistry journal by Cell Press and International Advisory Board Member at Advanced Sustainable Systems, a new journal by Wiley. He also served for RSC Advances of the Royal Society of Chemistry as an Associate Editor. He is currently an Associate Editor for the Beilstein Journal of Nanotechnology.